Rail 413: Two parallel rail universes – but can they ever meet? The railways have long passed the point where simple exhortation to ‘get their act together’ will have any effect on solving the deeply ingrained problems of the industry. 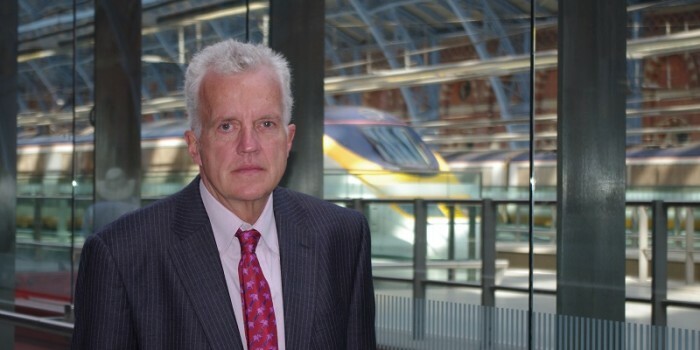 CHRISTIAN WOLMAR urges the new Transport Secretary to get off the fence and sanction the fundamental restructuring that even conservative commentators are now advocating. There seem to be two parallel universes as far as the future rail industry is concerned. In one, inhabited by assorted civil servants, Tom Winsor, the Rail Regulator, and some rail industry executives (but especially George Muir of the Association of Train Operating Companies), and ruled by Stephen Byers, the new Transport Secretary, the basics of the industry are essentially all right. All that is needed are a few injunctions to rail companies to ‘up their game’ or ‘deliver better’. In the other, inhabited by most commentators (including myself) analysts and academics, many rail executives (but only in the privacy of their own offices) and a few cannier politicians (again usually only ‘off the record’), there is complete acceptance that the existing structure cannot deliver a better, cheaper and more efficient railway. I call these universes rather than merely camps because it is as if the two groups are, indeed, in different worlds. This is well demonstrated by the statement issued by Stephen Byers as the new instructions for the Strategic Rail Authority. It sets the context by justifying the privatisation of the railways, though it accepts there are ‘flaws’ in the structure, and then tinkers about with the system by requiring the SRA to produce more detailed plans and to tighten up its control of the franchisees through a “much clearer and focused approach to franchising”. He was, justifiably, taken apart by Hugo Young of The Guardian for uttering similar platitudes on Frost. The publication was accompanied by one of those dire homilies which we have been so used to hearing from ministers and regulators, saying it was “the time has come for the industry to get its act together.” He added that “the industry has to do better and everyone has to work together to deliver the Government’s ten-year plan.” Banging on about the ten-year plan neatly encapsulates much of what is wrong with New Labour, too. Its tones echo those of Soviet Russia when the implication was always that a workers’ paradise would become a reality by completing the next five-year plan. Well, Mr Byers, let’s be realistic here and go into the other – real – universe. You can tell the rail companies to get their act together until you are blue in the face, but it will not achieve anything. The problems of the railways cannot be resolved by exhortations and crossing your fingers. The immediate problem is that both Railtrack and the SRA are broke. Railtrack cannot possibly deliver its part of the ten-year plan, which means there is what Sir Alastair Morton, the now outgoing Chairman of the SRA, describes as an £8bn hole in the plan. But worse, Railtrack is simply not in a position to embark on any new projects. It is a broken heart at the centre of the rail network and leaving it there, without major surgery, is an act which should attract the attention of the National Association for the Prevention of Cruelty to Companies. Railtrack’s plight is quite possibly worse than has been realised. A senior local authority councillor recently contacted me with the information that a fifth of the 27 highway bridges over the railway in his area are in such a poor condition they cannot carry any extra loads and have had to be partially or completely shut. The bill to repair them, which is down to Railtrack, is £10m. There are 5,099 such bridges in the country and local authorities are having to check them as a result of new procedures. Once this becomes more widely known, he reckons Railtrack’s share price could go negative. Two people have pointed out another risk, as well. In Railtrack’s Network Management Statement, the number two risk highlighted by the company is ‘latent signalling control system wire degradation’. In English, this means that there are concerns that faults in old electro-mechanical relays, of which there are still many on the network, could potentially result in wrong side failures (signals that should be red showing green). There were recent fears that this was happening at Slade Lane Junction, south of Manchester, but Railtrack managed to deal with the problem. However, this was first highlighted in the 1991 by the Hesketh report on modernising BR’s signalling, but Railtrack has ignored the problem until now. Again, it will take only one major incident for the whole network to be threatened with closure, as with Hatfield. As for the SRA, Sir Alastair has admitted – in a private meeting – that the authority cannot even meet the investment proposals set out in the ten-year plan, let alone embark on any other initiatives. The various capacity enhancement studies would remain on the drawing-board as ideas and, indeed, he was unable to see the East Coast Main Line or the Transpennine Express franchises being let at all in their present forms. This is why no franchise agreements have been signed so far. In other words, the railway, Mr Byers, is in a deep crisis. Worse, reading the Cullen report in detail, it is a clear that another accident, brought about by the confused relationships in a disjointed railway, is highly likely. This will plunge the system into an even worse crisis. There is, in other words, no point in having a privatised Railtrack if it simply carrying out work that is all paid for by the taxpayer. It is just a jolly expensive way of doing it. Anthony Hilton, The Evening Standard’s City Editor, has also come to the conclusion that “the least painful solution is the renationalisation of Railtrack”. Meanwhile David Begg, the Chairman of the Commission for Integrated Transport, and widely tipped to replace Sir Alastair as head of the SRA, published a paper* last week which advocates the break-up of Railtrack. Obviously worried that advocating renationalisation would rule him out of the job, Mr Begg has gone for splitting up Railtrack and the Government taking a stake in the company. The best bit of news is that rail has become one of the priorities of Tony Blair’s new Delivery Unit which is not a maternity ward but the group of senior ministers which will ensure that key policies are achieved. The unit has four overall priorities – crime, health, education and transport – and it will concentrate on just two aspects of the latter: the railways and the London Underground. The question is – how long will it take for Mr Byers to realise that he cannot ‘deliver’ without sorting out the industry thus incurring the wrath of the Delivery Unit, and therefore of Tony Blair, if he fails to deliver? So far his political career has been an effortless rise through playing safe and cuddling up to his leader. This time it will take courage and the ability to think through coherent ideas. Otherwise, Mr Byers may become the victim of the next train crash. * David Begg and Jon Shaw, A rational approach to rationalisation: Developing future rail policy in Britain, The Centre for Transport Policy, Robert Gordon University, Aberdeen.